The dumpling. Something common to almost every culture with various fillings and prepared in many different ways. 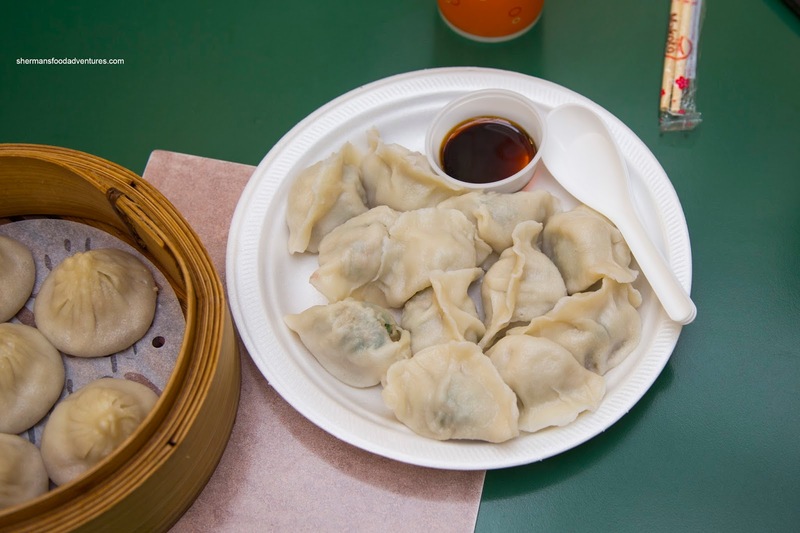 Some of the most iconic dumplings are of the Asian variety and hence, Tourism Richmond came up with an interesting concept. 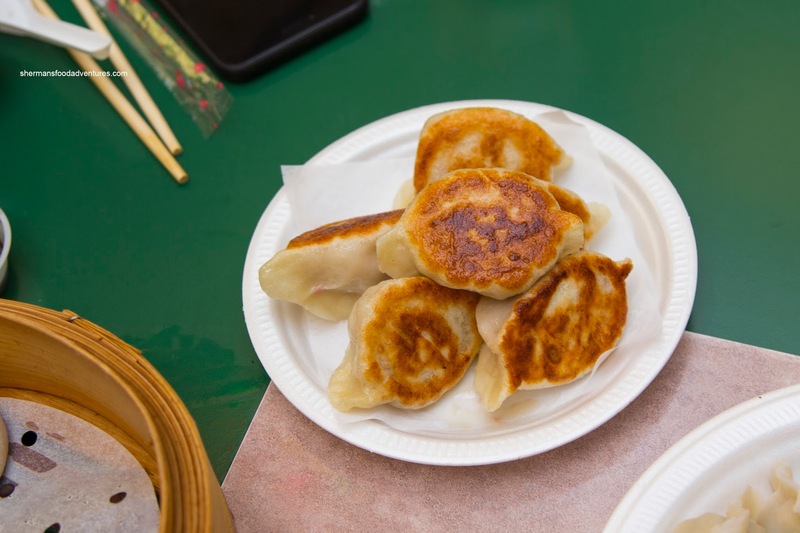 Take a concentrated area of restaurants in Central Richmond and create a self-guided tour where people can experience some of the best that the GVRD has to offer. To exemplify this, I was sponsored to give the Dumpling Trail a try with Sean, Nora and Diana. We started early at 9:30am at Empire Seafood Restaurant with a host of dumplings including the standards - Haw Gow and Siu Mai. 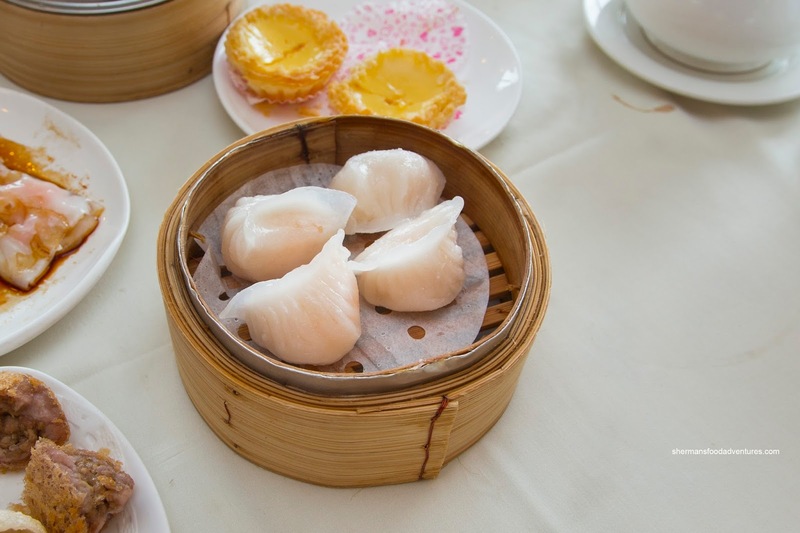 These actually arrived separately, but these are what every Dim Sum restaurant are judged by. I found the dumpling skin on the haw gow to be on the thicker side while being chewy as a result. Inside, the shrimp filling was on point with a buttery snap and a sweet essence. 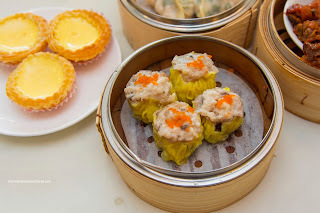 Exhibiting all of the desired attributes, the siu mai was the beneficiary of enough shiitake for both texture and flavour. The chunks of pork were a touch on the drier side, but still sported a nice rebound. Buttery and sweet, the snap of the shrimp added another layer of texture. 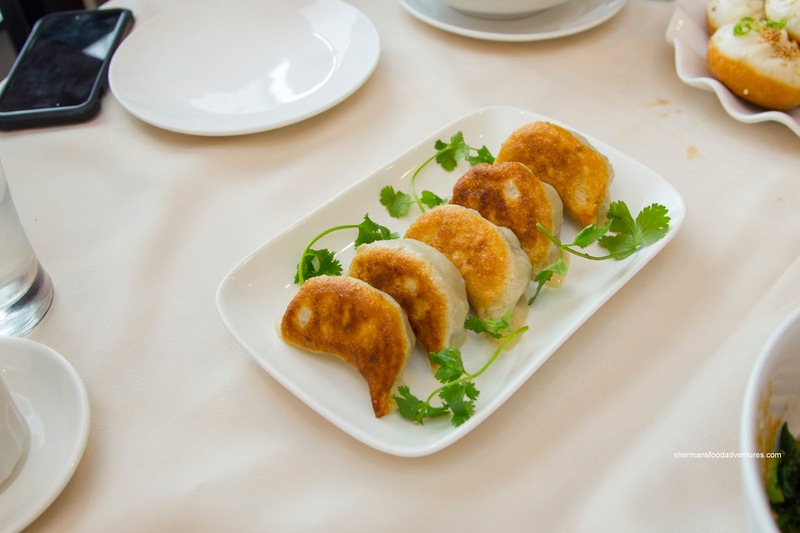 Normally, people often associate dumplings with something with an exterior "skin" of some sort. Hence, the Deep Fried Glutinous Dumplings and the Deep Fried Taro Dumplings are typically forgotten. Well, these were definitely memorable as they were completely on point. 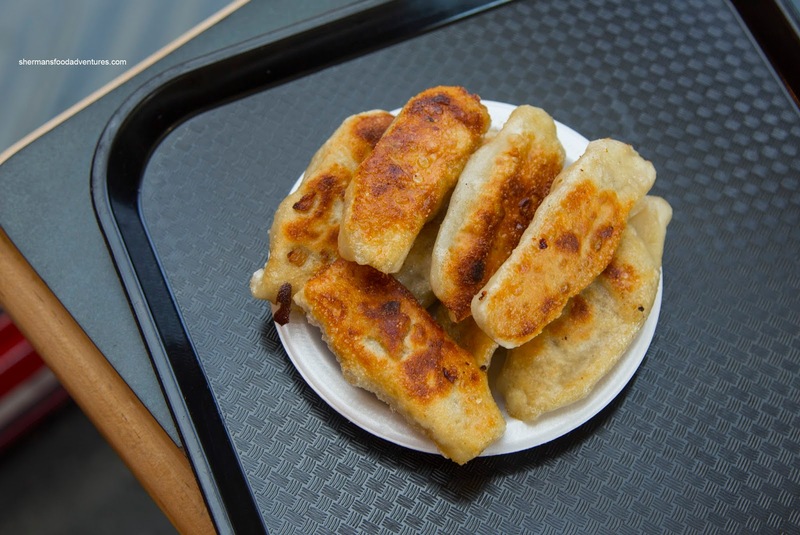 With a thin exterior layer, the glutinous dumplings were crunchy and not particularly heavy. Inside, there was a modest amount of well-seasoned pork and shiitake mushroom. As for the taro dumplings, there was just enough mashed taro on the outside without making things heavy. They were crispy while not being greasy. 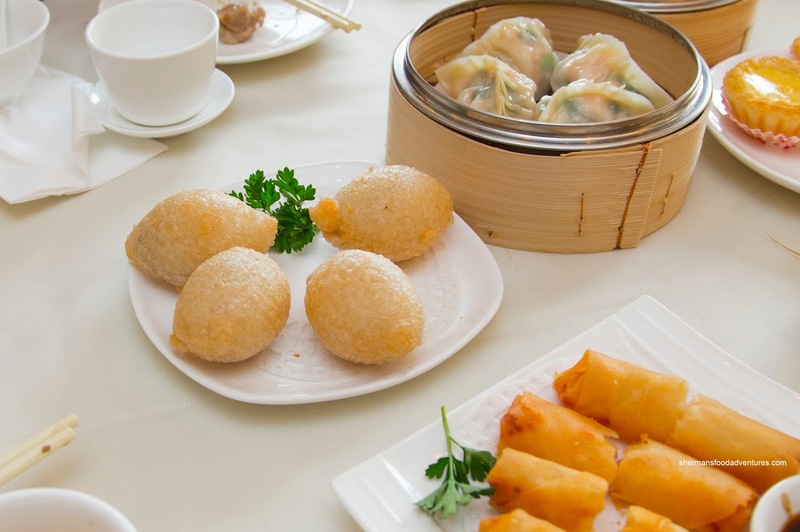 In addition to these items, we ate a few more dishes, but I'm only going to focus on the dumplings. From Cantonese Dim Sum at Empire, we made the short jaunt over to Suhang for some Shanghainese Dim Sum. Similarly to the haw gow, it would be a tragedy if we didn't order the Xiao Long Bao. These were medium in size and filled with a good amount of soup. I found it be well-seasoned with a hint of sweetness. 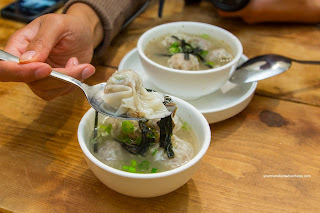 The meat filling was tender and moist while the dumpling skin was fairly thin except for the top twirl. 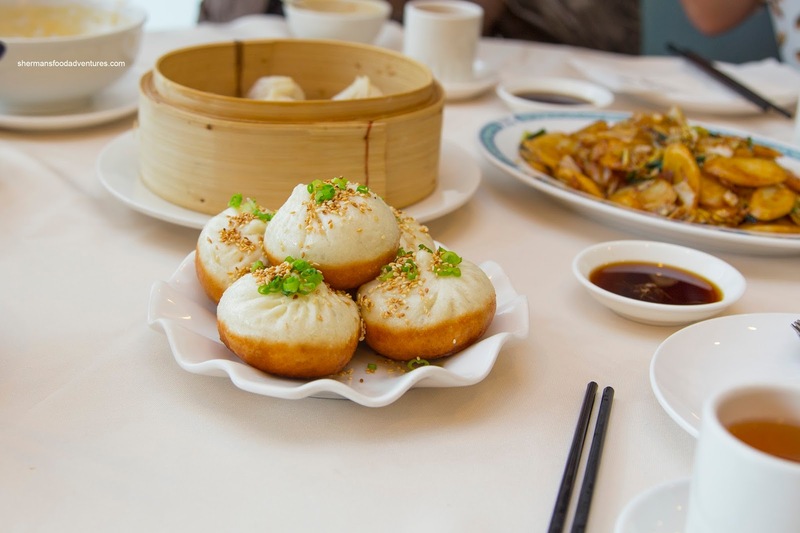 Onto another favourite, we got the Pan-Fried Dumplings featuring a fluffy bun. Inside, the meat filling was succulent and juicy with a balanced amount of salt and sweetness. As evidenced in the picture, the bottom was nicely browned. Completely the trifecta of dumplings, we had the Potstickers that were beautifully seared on the bottom. Hence, there was a contrast of textures from crunchy to chewy. The chewy part of the dumpling skin was a touch doughy, but not overly thick either. Again, the meat inside was tender, juicy and well-seasoned. I found it mostly meat with only a bit of veg. Making our way over to Westminster Hwy across from the Public Market, we went with Korean in Samsoonie. We decided to try all of their dumplings including the Wontons in soup. I found the exterior skin to be a bit gummy, but the filling was moist and tasty with just enough greens. The soup itself was mild and slightly sweet. 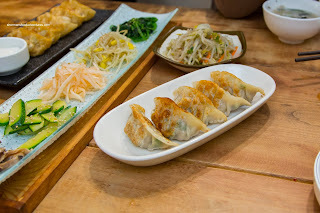 We tried all 3 versions of Mandu (Pan-Fried pictured) and I found the fried version to be the best with a crunchy skin giving way to succulent meat that sported just enough chives. The other 2 were a bit drier. 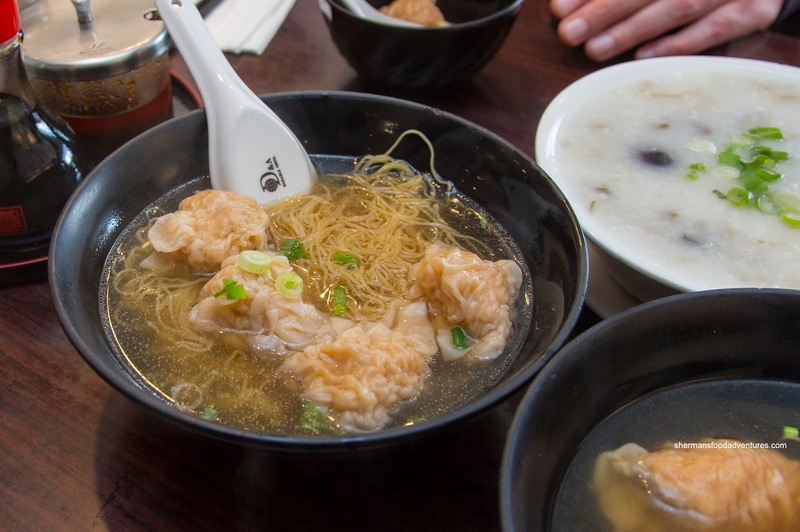 Walking across the parking lot, we found ourselves at Tsim Chai Noodle where we went for the a Wonton Noodle and a Siu Gau Soup. 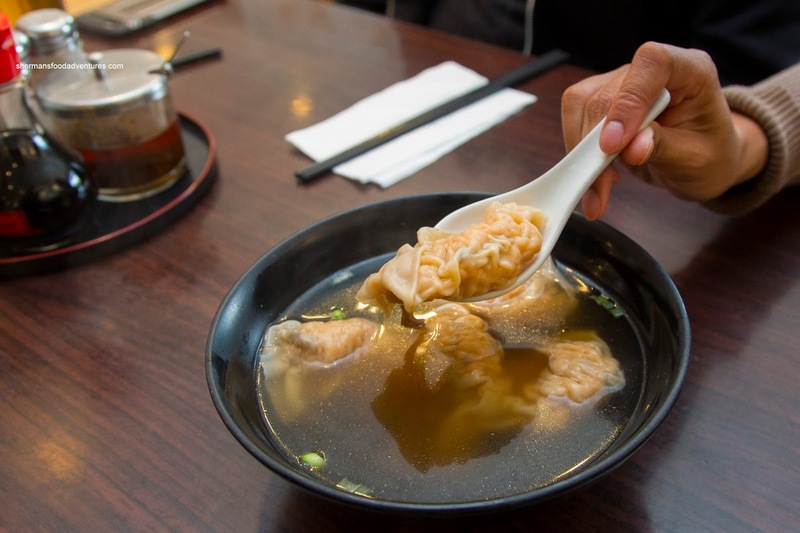 Tsim Chai is highly regarded as one of the best places to eat wontons. These were pretty good with chunks of shrimp that had a sweet snap, but this time, there was a bit too much soft mousse filler. We also found the soup to be on the sweeter side too. However, the thin wonton noodles were on point being chewy. 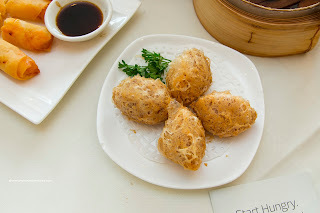 I much preferred the Siu Gau as they were large and filled with crunchy shrimp, wood ear mushrooms and pork. In addition to the crunch of the sweet shrimp, the added texture of the wood ear mushroom was pleasing. We then headed over to the Public Market to visit the Xi'an food stall. 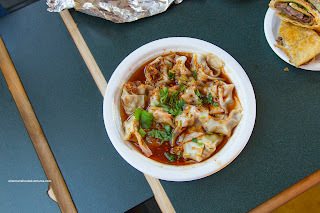 Usually, one would come for their fabulous hand-pulled noodles (specifically the lamb), but we were on the #dumplingtrail! So we got the Potstickers and Spicy Wontons. Featuring a well-seared and browned bottom, the potstickers were predictably crunchy. 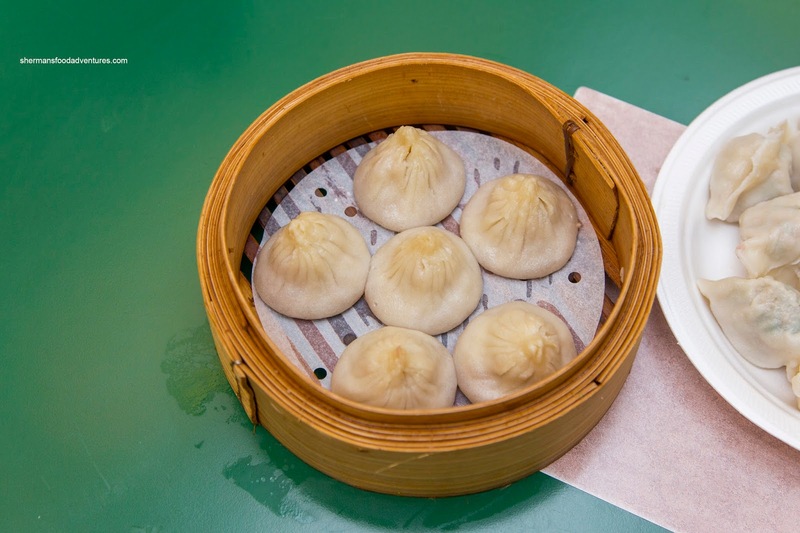 The rest of the dumpling sported a chewy, medium-thick skin. Inside, the meat was juicy, nicely seasoned and tender. As for the spicy wontons, they were drenched in a flavourful mixture of soy, chili oil and crushed peppercorns. Hence, there was a spice level that kept rising after the initial bite. I found the wonton skin to be tender and buttery while the amount of filling was rather meager. This was supposed to be our last stop, but hey, we love to eat! Therefore, we traveled to the Lansdowne Mall food court and paid R&H a visit. There, we did another trifecta of dumplings including Xiao Long Bao, Boiled Dumplings and Potstickers. Like all of my other visits to R&H, their XLBs were pretty good, especially from a food court. 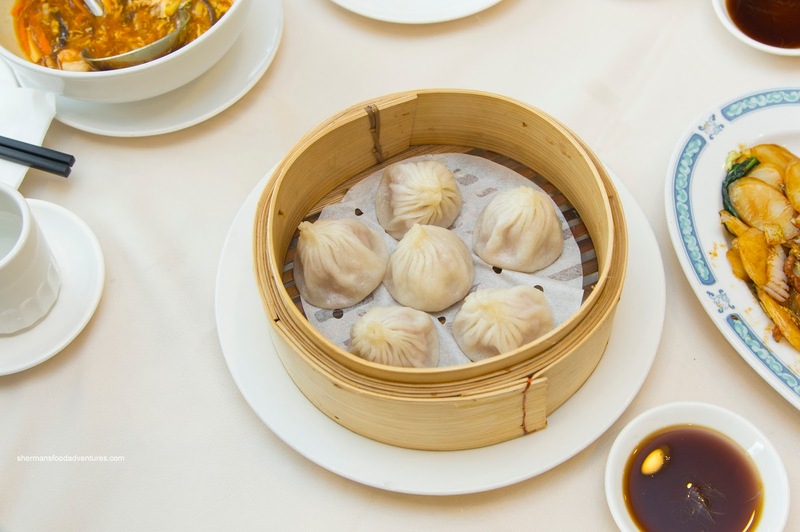 Featuring a relatively thin dumpling skin (except for the dense top twirl), the XLB contained plenty of soup. I found it to be aggressively seasoned though. For me, the boiled dumplings are the real star of the show as they were plump with succulent and tender meat with just enough onion. 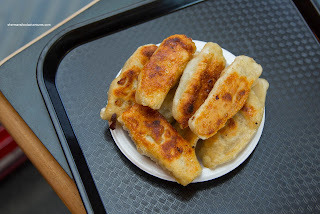 Equally juicy, the Potstickers were on the saltier side while the dumpling skin was medium-thick and nicely seared. Since we already had pork and chive mix in the boiled dumplings, we opted for the cabbage and pork filling for the potstickers. Hence, there was less of a brightness from the cabbage as opposed to the chives. So there you have it, our crazy version of the Dumpling Trail! I'm sure most of you won't go as nuts as we did (or maybe your might! ), but we experienced a good selection of the very best dumplings in town. Generally inexpensive and totally walkable, this is a fun and filling way to spend an entire day in Richmond (without driving if you took the Canada Line).